Diamonds Chicago has Diamond bracelets, Diamond Bracelet, Diamond Tennis Bracelet, Diamond Tennis Bracelets, Diamond and Sapphire Bracelet and Diamond and Sapphire Bracelets as well as Diamond Bangle Bracelet and Diamond Bangle Bracelets. Diamond Bracelets come in white gold and diamond bracelet, yellow gold and diamond bracelet, two tone gold and diamond bracelet and platinum and diamond bracelets. 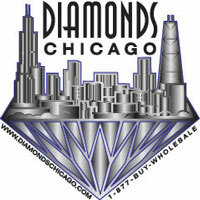 To view our large Selection of Diamond Bracelets Call 1-312-422-0400 for an appointment.